I believe that in any career we come to hurdles and obstacles that can potentially make or break our reputation and credibility making others, and ourselves second guess our own experience, accomplishments and abilities. One such hurdle for me was missing weight in the past for fights. Before I get into the details I'll start by giving a little background information about my career. At thirteen years old I started training karate with close friend and Chito-Ryu black belt Jeff Kennedy. 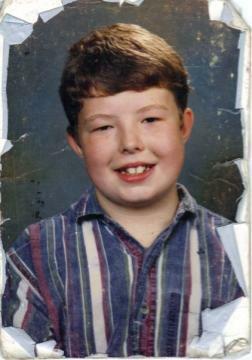 I was an overweight, insecure kid and martial arts were a great way for me to build self-confidence and security. I went throughout most of my childhood battling weight issues mostly from lack of knowledge and understanding of nutrition. I would go on to train Kickboxing under Ed Burns, Craig Doiron, DJ Kennedy and Ron Dean then eventually Judo and BJJ with Mike Kitson and the others at Titans MMA in New Glasgow. 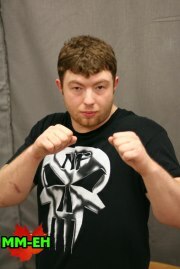 At age 23 I found out that Jason MacKay, local MMA fighter and promoter was going to hold an MMA card near my hometown in Trenton, NS. At the time I weighed a whopping 240lbs. Still knowing very little about proper nutrition I started training for the fight under Jason Rorison and Jaret MacIntosh. The fight was signed at 200lbs, which I made easily with 1lb to spare. My opponent was a very lean, tall 6'3 fighter named Richard Aston (I'm only 5'9). I won the fight via decision. After taking a two year layoff and moving to Halifax to train with the Halifax Titans MMA I decided to step back in the cage again. I gained a lot of the weight in my off time and was back up to nearly 240lbs again. I signed the fight at 195lbs and started stumbling through the darkness and received a meal plan from close friend and body builder Josh Rioux. Having most of his experience in coaching fitness athletes designing a plan for an MMA fighter training twice a day, 5-6 days a week was tough. My plan was very much based on a ketosis style of carb depletion and made my recovery suffer. I was getting injured often and had very little energy to train, but I cut the weight. I fought Kurt Pelletier in 2009 at 195lbs. I went on with my career and continued to drop weight classes. My next fight would be Meneka Weva at 185lbs where I had only 2lbs to cut in the last week of the fight. 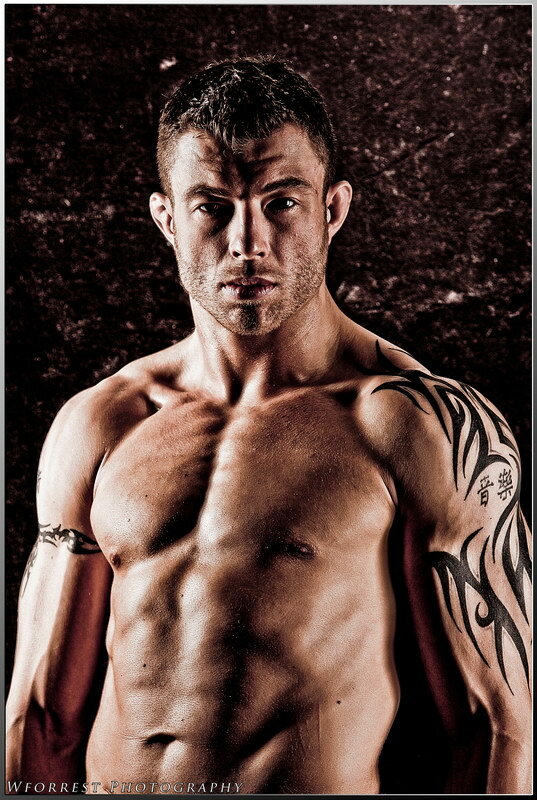 I'd go on to fight Jon MacGrath at 180lbs then signed a fight with Brian Mazerole back up at 185lbs in April 2010. The problem with this fight was that I only walked around at 180. The day of the fight I had to eat breakfast and drink 2L of water so I would appear to be of similar weight while learning that Brian cut 20lbs and nearly didn't make it. The day of the fight he weighed close to 205lbs at 6'3 and I beat him in under two minutes via submission. Dieting is nothing new in our society and as many know there are lots of ways to go about it. One process that isn't well known, however is the proper method of cutting weight. The "old school" method is simply sweat, sweat, sweat. Having been taught this most of my big weight cuts were done by suffering in the sauna until the weight came off. In May 2011 I signed a fight with Steve Rogers at 155 in Moncton, NB. This was my first ever attempt at this low of a weight class and I had about 17lbs to lose in a couple of days. Until then my biggest weight cut was 19lbs to 170. Little did I know at the time, the lower you get in weight the harder it is to "sweat out" the pounds, making a 17lb drop to 155 more like a 25lb relative drop to 170 (your body has a certain percentage of water that it can safely lose before causing permanent damage; as your body composition changes and the weight comes off the smaller percentage you have to work with). I ended up missing weight by two pounds, weighing in at 157lbs. I moved on from this fight and ended up signing a fight against Derek Gauthier in December 2011 again at 155lbs. This time the fight was in Quebec, meaning I would be flying. Another aspect of cutting weight I was unfamiliar with is that flying causes severe water retention if you don't properly prepare for it and at this point I was still stumbling in the dark with my weight cuts, relying on my teammates' experience and information gathered from my own research. We tried some new methods of cutting weight (looking back I almost chuckle at my ignorance and mistakes, knowing what I know now) and actually nearly poisoned myself severely in the process. I was in really bad shape, hallucinating, vomiting and more throughout the night. My skin felt like it was melting and I could barely see. The methods we attempted were not only extremely dangerous at the time, but would make it nearly impossible to fully recover to fight the next day; but I did. This time I missed weight bad - by a humiliating 9lbs. The worst part about this was that the fight was on international television and pay per view where many friends and fans were home watching. I knew I was going into this fight as the "bad guy" and would have to face a lot of judgement, win or lose. I won the fight by decision in Gauthier's hometown, which would have been much more rewarding if I hadn't have missed weight. Shortly before this fight I was able to achieve a long time dream of opening a combat sports/supplement store called Collision Sports with long time friend Andrew Nutt. We would offer many types of products from MMA gear, clothing, supplements and much more along with the complimentary knowledge and advice one would pay for in most circumstances. The store would be located inside of our gym, Titans MMA and also through our website, www.CollisionSports.ca . After missing weight I talked to my coach and told him this can't ever happen again; I'd either quit fighting or I'd have to find someone who knew how to help. I was introduced to a fantastic dietician named Glenn Faltenhine who although he had limited experience with fighters and our cutting method was more than enthusiastic about helping me learn as much as I could and did lots of research himself, emailing colleagues and finding out what he could to offer insight. Glenn opened my eyes to a lot of changes in my diet, including learning that carbs are extremely valuable in weight management and recovery and excess protein is just not necessary when maintaining or cutting weight. I moved on from Glenn to work with MMA nutritionist and some may say weight cut genius George Lockhardt and his company Fitness VT. Fitness VT works with many well known MMA fighters including UFC's Jon Jones, Kenny Florian and Brian Stann, so needless to say I was in good hands. My first cut with George would be back at 170 in April 2012 where I would cut 14lbs overnight without even the use of a sauna. This weight cut method would be the best I have ever tried and made me feel incredible during and after the weight cut. After this fight I changed my training to focus on strength and power and put on some more muscle mass. I would fight again at 170 in July 2012, having about 22lbs to drop 5 days before the fight. Not only did I drop the weight easily and effectively, but again I used no sauna, no traditional "suffering" based weight cuts and was even eating and drinking small amounts the day of the weigh in. I made weight easily and had so much energy I fought 5 rounds without even sitting between each round. After this fight I decided to continue my knowledge and passion for nutrition and cutting and started my certification as a Sports Nutritionist. I finished this course and was offered a scholarship for my Level 1 Nutrition Coaching course based on my performance with the previous certification. In one month I helped three different fighters with nutrition plans who all made weight easily and effectively without killing themselves in the sauna or spending hours exercising before their big fights. One of them started cutting with only a week's notice for a late call from The Ultimate Fighter, needing to drop important pounds for his elimination fight. He not only made weight but went on to win his way into the house. I decided to team up with my best friend and girlfriend, WBFF Pro Celia Hodder to offer nutrition planning and coaching to not only fighters, but fitness competitors and the general population. Together we have combined our experience and knowledge to confidently offer advice to all types of people, from professional athletes to those just looking to look and feel better through my business, Collision Sports. I believe in life everything happens for a reason and for stubborn, thick headed people like myself sometimes it takes a really loud knock for me to hear opportunity on my doorstep. I believe the humility in my career will not only push me to become a better athlete myself, but also allow me to assist others in reaching their personal bests. Martial arts is an excellent way to channel your angst and insecurities, and use them as motivation to become your better self. You definitely have come so far from an overweight kid to a fit and well-built martial arts fighter in just a span of years. Your story is an inspiration to those who struggle with weight issues and the lack of confidence because of it. damn you look totally changed man! I don't what you pumped in, but MMA is definitely something for you.